I'm trying to figure out when to post or not post press information. 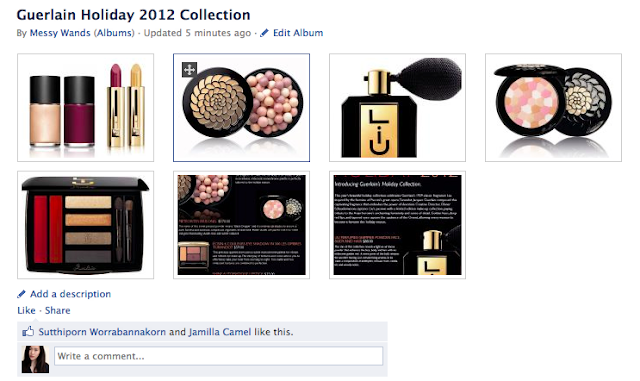 I personally love seeing it when no one else has posted it, but since Guerlain's Holiday 2012 collection is kind of old news to me by now, the enthusiasm to get it up on the blog immediately is somewhat lacking. I know many of you don't like reading press releases anymore, so I decided to post them as albums on my Facebook page. This way I don't clutter up the blog and you can choose whether to click on the album to view the pictures! Does this work? Or would you rather see them on the blog itself? 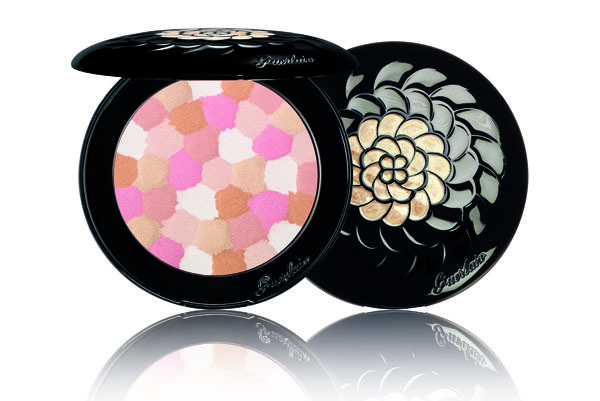 I do want to highlight the usual beauties from Guerlain's holiday collection. While I don't particularly like the pinks and purples (reminds me of the Perles d'Or holiday set from two years ago), the packaging croons to me. How beautiful would it be to have this jetblack meteorite case sitting on my table? Also, the entire collection is inspired by the Liu fragrance, thus the "Oriental" spin (though what holiday collection hasn't been about red and gold, pray tell?). That said, I'm a complete sucker for things inspired by my heritage, so I'll definitely let you know if I cave for one of these when they hit counters. I'd love seeing it on the blog... and Guerlain's collection is breathtakingly gorgeous! I love the ornate oriental touches. PerilouslyPale- I guess I'll make an exception for exquisite products! birkinbagbeauty- I actually really like the pearls, for some reason! I love seeing it on the blog. Much better than facebook! Please continue to post all of the information on the blog. I can't even click on that lovely eye and lip pallette with the gorgeous reds. One can choose to read or skip the PR's. I have the D'Or Pearles from two years ago, I believe, and I love them. 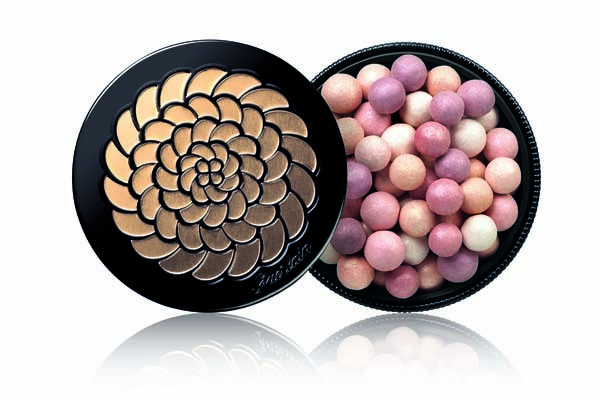 Very light and they do not leave a shimmer that is discernible at all. I do not like shimmer on my face much.